One of the most dramatic explorations of a German town in the grip of anti-Semitic passion ever written. In 1900, in a small Prussian town, a young boy was found murdered, his body dismembered, the blood drained from his limbs. The Christians of the town quickly rose up in violent riots to accuse the Jews of ritual murder—the infamous blood-libel charge that has haunted Jews for centuries. 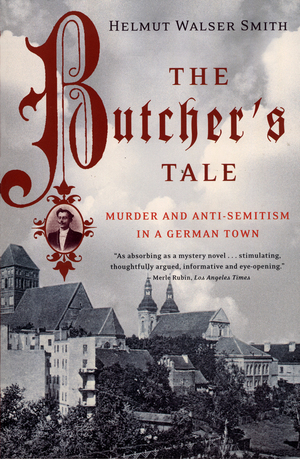 In an absorbing narrative, Helmut Walser Smith reconstructs the murder and the ensuing storm of anti-Semitism that engulfed this otherwise peaceful town. Offering an instructive examination of hatred, bigotry, and mass hysteria, The Butcher's Tale is a modern parable that will be a classic for years to come. Winner of the Fraenkel Award and a Los Angeles Times Best Book of 2002.